The South African government has identified children, particularly those in rural areas, as a vulnerable group needing attention as they continue to suffer various violations of their rights in both the private and public spheres. Concerns regarding violations of children’s rights include physical and sexual abuse, neglect, malnutrition, denial of access to schools for failing to pay school fees, lack of transportation to and from school, lack of sanitary facilities, bad or dilapidated school buildings, and inadequate feeding schemes. The South African Constitution guarantees the rights of the child, which include the right to a basic education; however the reality is that a number of children still encounter challenges in receiving these constitutional rights. In response to concerns of abuse children face at school, within the home and in the broader community, HURISA began its training on children’s rights in rural communities in the Limpopo Province in 2001 as a pilot project. It became apparent that parents, educators and school governing bodies also needed to be included in the training as they knew little about children’s rights. Since then HURISA has expanded its Children’s Rights programme to rural communities in the Limpopo, Northern Cape, Eastern Cape, Gauteng and KwaZulu-Natal provinces. The primary objective of this programme is to build a culture of respect for the rights of children. 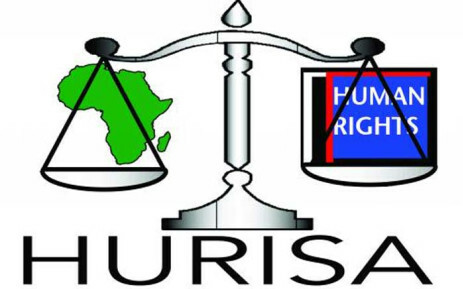 In each province, HURISA partners with a local community-based organisation working in the human rights field. This partnership assists in developing the capacity of these organisations in the areas of child rights and human rights training in the hope that they will be encouraged to undertake similar training within their own communities. The design of the training includes a limited amount of theory and a considerable amount of practical exercises, utilizing a combination of teaching/learning methods such as group work, casework, discussions, role-plays and life experiences. Each training session begins with a pre-evaluation of the participants’ knowledge of human rights. They are then evaluated again after the training. In each training session, HURISA covered topics such as an introduction to human rights, the Bill of Rights, the Constitution, and economic and social rights. During the sessions, a few reoccurring themes and issues appeared such as social grants, school fees and corporal punishment. The Children’s Rights programme has empowered many communities. Those who attend the training are equipped with the knowledge and information about social and economic rights. All participants are expected to empower other people upon their return using the training they received. In this respect HURISA’s work has a trickle down effect and touches many members within each community. Between three and four months after the training, HURISA follows up with an evaluation to gauge the impact of the training and receive feedback from past participants. Three training courses on children’s rights were held in 2005. The first training was held 13–15 June 2005 in Bizana, Eastern Cape, in collaboration with the Bizana Advice Office, a paralegal office. The second training was held in Bloodriver, Limpopo from 12–15 September 2005. After the workshop, HURISA visited Nape Tladi, April Makgakga and Mochocho primary schools to assess the conditions of the schools and educate learners about socio-economic rights. The last training in 2005 for the children’s rights programme occurred 17–20 October 2005 in Ezingolweni, Kwa-Zulu Natal. In addition three more schools – Mgawulane, Magaye, and Etshenilikashoba – were visited where HURISA also taught the learners about their socio-economic rights.